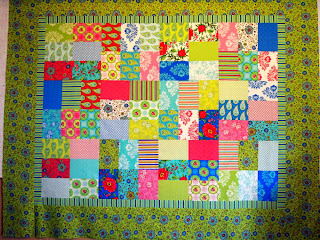 Finally I got the outside border for this quilt -- I pieced it during Christmas weekend and had a heckuva time getting the border fabric. But here it is, #5 for 2012! The pattern is from Legacy Patterns and is called "Cheaper by the Dozen." For a finished size quilt of 59" X 74", you need twelve fat quarters. I used leftover Summerhouse by Lily Ashbury from my October Quilt Camp class. 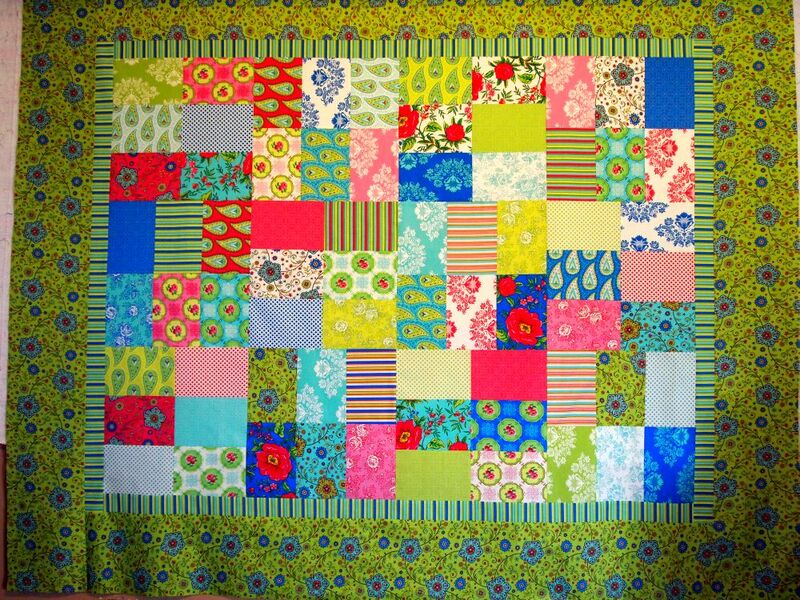 This would make an excellent baby quilt or charity quilt, as it took only a couple of hours to put together. It looks like you will have all 12 finished in January. What are your plans for the rest of the year?